Until November 1st, 2013, three bonus tracks have been added to the Dirty Knobs album Hallow. One of them, “Sirendrum666,” is a sixty six minute and six second track that was previously available as a bonus. Two others are new songs from the forthcoming full-length album Bedlam. As this is still a work in progress, those tracks may vary slightly on the final release. These three bonus tracks are also available individually at a discount for those who may have previously purchased this album. And of course you can stream them for free. Please enjoy this music with candy and shadows and candy in the shadows. 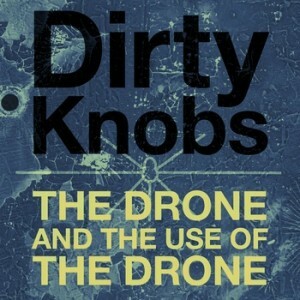 “The Drone and the Use of the Drone (Parts I, III and VII)” was improvised and recorded live in-studio on 08/30/2013. These parts were originally improvised in a live Dirty Knobs performance at Sacred Heart in Duluth, MN, at the Umbrella Cloud Festival on 08/25/2013. It contains a sample from NPR’s Morning Edition featuring Dianne Feinstein (D-CA). The second track, “Unmanned,” is a new composition recorded in the same spirit.